Every parent wants the best for their children and dental health is no exception. The place to start this life long process is with the dental office. Getting your kids off to the right start will be one of the most important factors in shaping their dental health for their lifetime, so this is definitely an important decision. As parents we want our children to have healthy teeth now and in the future. We also want then to grow up with a positive outlook towards dental treatment so they keep up with regular care. That will insure that they are able to attain and maintain a healthy and attractive smile for many years to come. On the practical side, saving money on dental bills would be a good thing too. I am sure that most parents would agree with that. Most adults would also agree that they have had more cavities and problems with their teeth than they would like. Here are Dr. Simon’s top 5 things for parents to consider in selecting their children’s dental office. Most parents take their children to a pediatric medical specialist, so it makes sense to take your children to a dentist who is specifically trained in Pediatric Dentistry. They understand how children grow and develop and can spot small problems early before they get to be big ones. They love treating kids and since they treat kids all day long, they are good at it. It is critical for kids to learn good habits about dental care, but kids learn differently than adults. They learn by playing and having fun! What a great concept for the rest of us! So we need dentists and team members who like to play with kids and make learning fun. Glow in the dark tooth brushes, cartoon character puppets with teeth to brush and child oriented educational videos are all part of the process. Of course we need to fix cavities, but preventing them in the first place is even more important. As a parent you need to look for evidence that the office focus is on how to avoid cavities. That includes information on eating foods low in sugar, brushing and flossing tips and appropriate use of fluoride. The best money saver of all is catching problems while they are small. Skipping check- up visits lets the plaque build up and cavities form and get bigger. That leads to root canals and premature loss of teeth and major orthodontic problems. In order to be successful long term, kids need to think about dental care more than 2 X a year at the dental office. A web page that is designed for kids and learning like www.DentalCareKids.com. can be visited and re-visited lots of times between visits to encourage good habits in eating and home care. When it is time for you to leave the dentist office and your child says, “Oh, do we have to go now?” that is a very good thing. 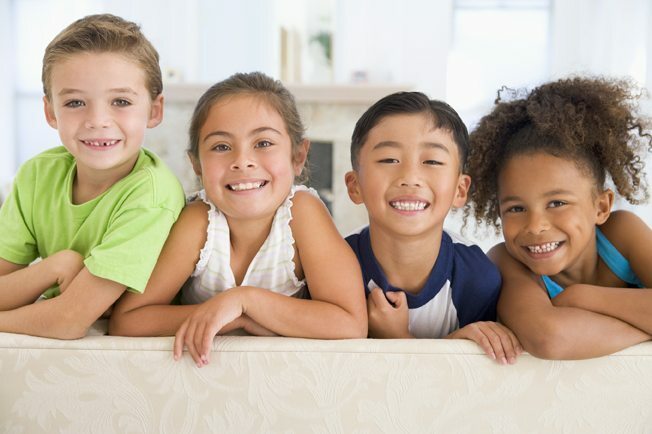 When they are playing computer games or watching their favorite show on a TV in the dental room, you know that they are forming positive associations with the dentist that will lead to better dental health for now and the years to come. How many of your adult friends are excited to go to the dentist? When the time comes to make that appointment for your children’s dental visit, take a few minutes to call the office and ask a few questions such as the following. Do you have dentists who specialize in children’s dentistry? What do you do to make it fun at the dentist? Do you have a great web page so we can visit and see the dentist and the office in advance of going there? Positive answers to questions like these will go a long way to insuring that your kids will have fun and get great care at the dentist.